Chemical dependency is a serious health risk to communities and is a complicated condition as all people are susceptible and the reasons why some become dependent while others do not varies greatly. FaShawn, born Santiago Leyva, believes the greater the awareness and education the public has, the greater the chance people can proactively take steps to decrease their chances of developing dependence, understand warning signs of friends or family who may be struggling with dependence, and find local recovery centers to seek treatment. In this interview, FaShawn opens up to Dr. Crescenzo Pisano, an addiction specialist from Providence’s Chemical Dependency program at Little Company of Mary in San Pedro and shares his story of growing up in a family of drug addiction. During the course of the interview, FaShawn asked Dr. Pisano a few questions that he would like to provide more detailed answers to. See what Dr. Pisano has to say. Who is at a high risk for chemical dependency? All people of any race, gender, or age are at risk of developing chemical dependency during the course of their lives. Most people who use drugs for the first time do so when they are teenagers. Studies have shown among new drug users, over half were under 18 years old. Although many start in their teens, drug use is increasing among people who are older, specifically in their 50’s and 60’s as the baby boomer generation ages, which has historically had higher rates of drug use than other generations. Certain people are more likely to develop chemical dependence, like African Americans. The rate of illegal drug use among African Americans ages 12 or older was 12.4% in 2014, compared to the national average of 10.2%. Total substance abuse among African Americans has been steadily declining since the 1990s; however, 21% of admissions to substance abuse treatment facilities were African American in 2006 in comparison to 12% of non-Hispanic population. Why are African Americans, and specifically African American women, at risk? Among African-American single mothers, approximately 35% live in poverty compared to 19% of non-Hispanic single white mothers. Among African-American women, most admissions to treatment facilities were for cocaine/crack abuse (35%). Opioids, primarily heroin, accounted for 18% of substance-related admissions. With less adequate housing, financial resources, medical care, and higher cumulative stress, African-American women face an increased susceptibility to substance use disorders and other health conditions. What are the symptoms for chemical dependency? Changing Appearance: Serious changes or deterioration in hygiene or physical appearance – lack of showering, slovenly appearance and unclean clothes. Family History: A family history of addiction can dramatically increase one's predisposition to substance abuse. Tolerance: Over time, a person's body adapts to a substance to the point that they need more and more of it in order to have the same reaction. Are there any direct causes for chemical dependency? There are many reasons for chemical dependency. Genetics and family history are one, in which people who are children of or related to family members who abuse drugs may be more susceptible. It can also relate to how someone was raised. Women who grew up in families where they take on adult responsibilities as a child, including household duties, parenting of younger children, and emotional support of parents, are more likely to initiate drug and alcohol use. Reasons for initiation of substance use vary; many report that stress, negative affect, and relationships are very influential in first use. Depending on the physiological effects of the substance, some report they initiate use due to a desire to lose weight or to have more energy; e.g., methamphetamine use. Women often initiate substance use at an older age than do males, the average age of first use of drugs or alcohol for females is almost 20 years old. Relationships can also have an effect on use; those who have partners who use frequently are more likely to use illicit drugs or drink more often. What are some ways to help manage or treat chemical dependency? There are multiple treatment methods that can assist with chemical dependency recovery. Clinical treatment: There are clinical methods of treating chemical dependency including detoxification, inpatient treatment, outpatient treatment, and even hospitalization. Religion and Spirituality: Overall, people in recovery from substance use disorders who express high levels of spirituality demonstrate a more positive self-concept, better attitude toward parenting and perception of family climate, more active coping style, and greater satisfaction with their social support than women who are in recovery but expressed lower levels of spirituality. Family Support Counseling: Family therapy is a more essential approach in substance abuse treatment for women. Developing or maintaining positive relationships can improve self-esteem and increase feelings of self-efficacy. Further, a high degree of social support is positively related to better treatment outcomes. How can someone get help for chemical dependency? Substance abuse treatment is critical to overcome dependency. It is never too late! 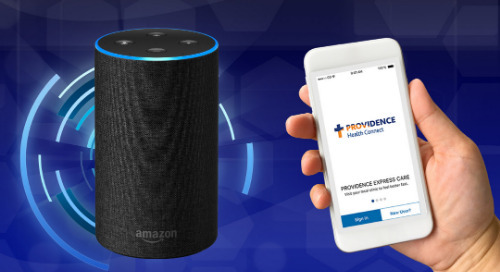 Providence Health & Services offers treatment across our regions. For more than 30 years, the Providence Little Company of Mary Recovery Center has offered a premier chemical dependency rehabilitation program addressing the needs of the chemically dependent and their significant others. If you have questions about treatment and assistance for chemical dependency outside of California, please click this link to find a center near you. Providence St. Joseph would like to thank FaShawn for being a paid partner with us on this important topic.